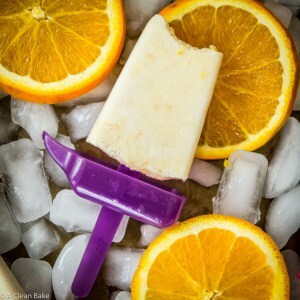 These paleo orange creamsicles use real orange juice to recreate a dairy free and naturally sweetened version of the childhood favorite! 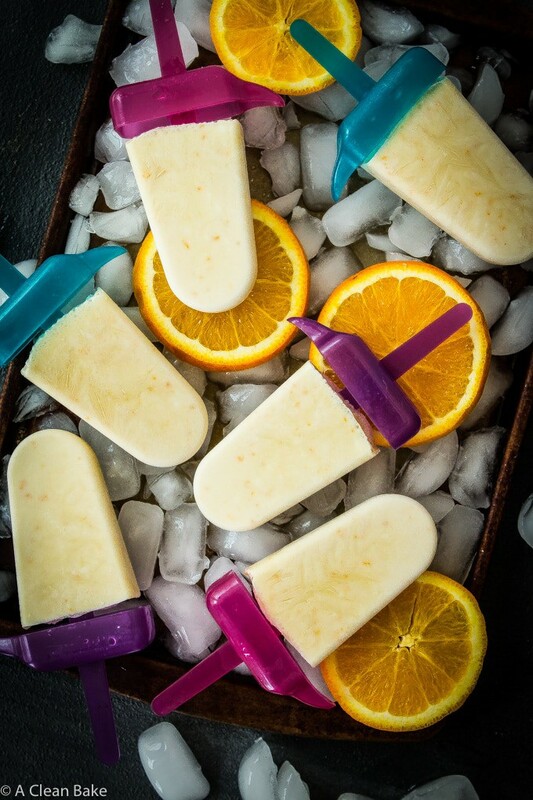 So I guess I made these paleo orange creamsicles for the same reason that I haven’t been blogging much: a break from the kitchen once in awhile is important. A break from cool, refreshing treats is never a good idea. 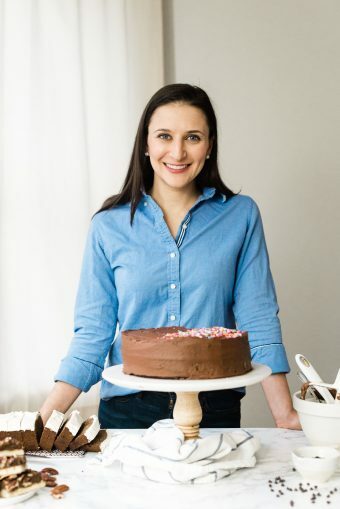 Sometimes, I worry that I get in a dessert rut when every idea I have ends in chocolate. When that happens, I think WWBWTE? That is, for those of you who aren’t in my warped little mind, “What Would Bryan Want To Eat”? I’ve discussed before – ad nauseum, in fact – how different my husband’s preferences are from my own. He likes meat, I like vegetables and carbs. He likes fruit, I like chocolate. He likes creamy textures and buttery pastries, I like dense cookies and rich cake. He doesn’t even like sweets that much and when he does, he prefers store bought over homemade (though, because he’s a good husband, he’d never admit it). 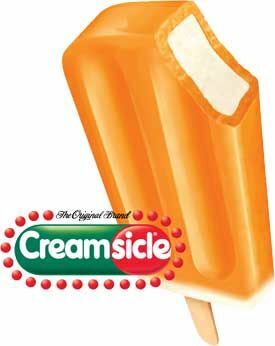 And he loves (LOVES) orange creamsicles, with their sugary interior and coating of a shade of orange that only exists in nature if you put a traffic cone in the middle of a forest. 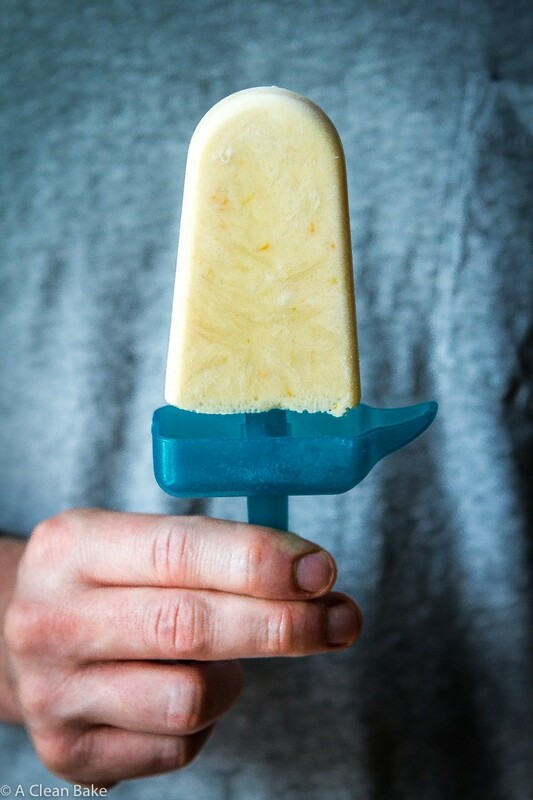 I wish I could give you some cutesy diatribe about how I want to share a batch of popsicles with you but that would be a bold faced lie because they are gone. Long, long gone. Bryan devoured them, sometimes twice a day, and for someone who doesn’t actually love healthy homemade sweets, his excitement about these was, well, let’s say noteworthy. So, I guess you could say they’re pretty good! Stir together all ingredients until combined. Divide mixture between 6-8 popsicle molds. Best of luck with all the visitors – I hope you’re able to get well-deserves relaxation time this weekend and next week! Thank you for sharing yet another fabulous recipe. 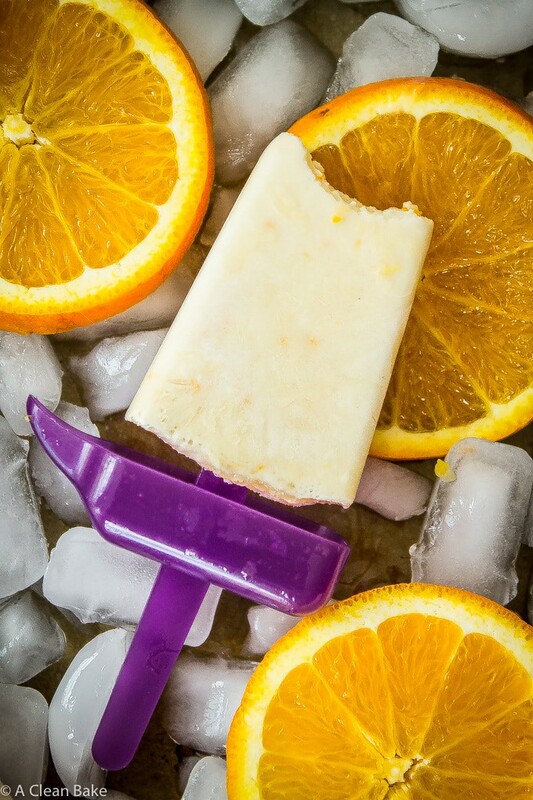 Refreshing creamsicle heaven!